There have been a number of incidents recently where lack of fall prevention systems contributed to worker injuries and there were limited practical solutions to safely erect, alter and dismantle prefabricated steel modular scaffolding. SafeWork NSW is currently running Operation Scaf Safe which commenced on Monday 1 April 2019. It is one focus of SafeWork’s Towards Zero Falls From Heights Campaign which will run until 2022. SafeWork Inspectors are visiting sites across NSW to ensure that businesses understand the safety requirements involved in creating a safe environment for workers using scaffolding and working from a height. 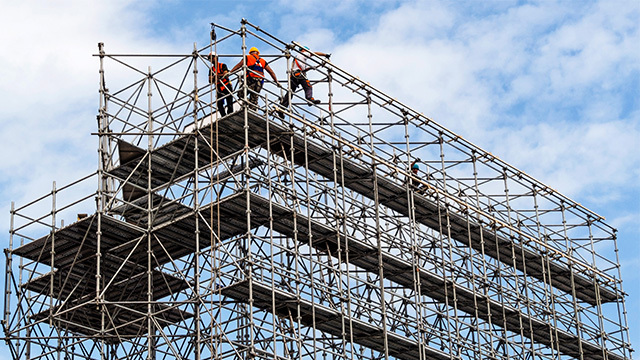 The decision to focus efforts on scaffold safety was in part the result of a compliance blitz conducted throughout 2018, where almost 50 per cent of scaffolding inspections were found to be non-compliant. 1,258 notices were issued, including 93 risk-of-falls related, on-the-spot fines, totalling $265,680. SafeWork NSW has developed the following guide in consultation with industry and provides practical guidance for those erecting, altering and dismantling scaffolding, and for principal contractors, employers, suppliers of scaffolds and others involved in using prefabricated steel modular scaffolding. Work health and safety regulations require the control of risk to health and safety. Following this guide is a means to achieve such compliance. See the full SafeWork guide here.